We’re fast approaching the one year anniversary of the March 2011 Fukushima Daiichi nuclear disaster, so now seems like a good time to take a closer look at the impact of that incident on the future of nuclear energy in Europe. On 7 March, Debating Europe and our partner think-tank, Friends of Europe, will be holding a live head-to-head debate between Dr. Hans Blix, former Director General of the International Atomic Energy Agency (IAEA), and Jo Leinen MEP, Member and former Chairman of the European Parliament Committee on the Environment. Jo Leinen has been a prominent spokesperson in the past for the German anti-nuclear movement, whilst Hans Blix has argued that all energy sources (including nuclear) will be necessary to help prevent climate change. 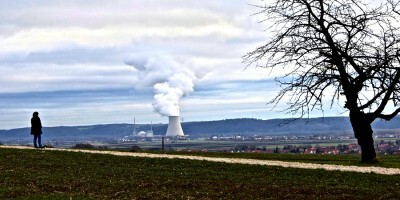 Does nuclear energy have a future in Europe? We looked at this question last year, but this will be an opportunity to go into more detail and get some more of your questions answered. In the run-up to the debate, we spoke today to Ulrich Benterbusch, Director of the Global Energy Dialogue at the International Energy Agency (IEA), and asked him to respond to some of the comments you’ve already sent us on this topic. Firstly, we had a comment from Nikolai, who argued that “any major gain from [greening Europe’s economy] comes in the form of EU energy security and reducing the reliance on others outside the bloc. As it is, Germany and Italy dumping nuclear will simply mean they buy nuclear produced energy from France or the Czech Republic instead.” What would you make of Nikolai’s analysis? What I would like to point out is that, very recently, when it was very cold and we had one country (i.e. France) relying on nuclear for 80% of its energy production, they actually were forced to import energy from lots of countries, including Germany, to meet their needs. So the Germans had energy during the winter, because the sun was still shining and the wind was still blowing. It’s not black and white, it’s always grey. You can have circumstances where even a country relying on nuclear is not energy-independent. The other thing I’d say is that, of course, a diverse energy mix is desirable. In the end, though, the political responsibility rests on every country individually. They have to decide which policies to adopt; there is no such thing as a “one size fits all” energy policy. What I wanted to demonstrate with the French example is that every country needs the help of others. This is a controversial issue, with many people in Europe very concerned about the safety of nuclear energy after Fukushima. Most of the comments we’ve had, however, have been fairly supportive of nuclear (here, here and here, for example). Others (for example, Greenpeace) are much more critical. Who is right? Should nuclear still have a future in Europe? What is important to note is that all the calculations and scenarios we have made show that – unless we have a substantial global nuclear share in the energy mix – it will be very difficult to meet the 2 degrees target in terms of climate change. If we would like to meet that target without nuclear energy, then we will have to meet it at a considerably higher cost. In that sense, we are happy to observe that, after Fukushima, almost all of those countries that have developed plans in the last decade to expand their nuclear programmes have not changed those plans. What do YOU think? Do you think nuclear energy is safe, even after the Fukushima disaster? Or does a move away from nuclear mean adopting more polluting technologies, such as coal? 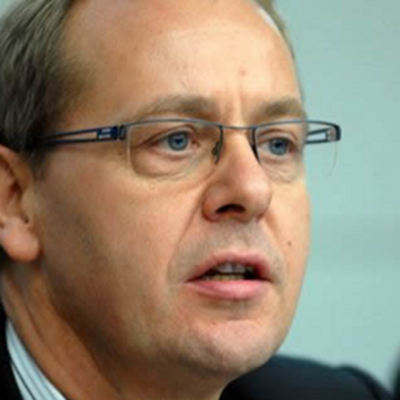 Do you have any questions or comment for Dr. Hans Blix or Jo Leinen MEP? Let us know your thoughts in the form below, and we’ll put your comments to both of our speakers live at the Friends of Europe event on 7 March. Like mentioned before, nuclear energy is remarkably clean, safe and powerful. It is unfortunate that a single disaster, like the Fukushima disaster, is what sticks in people’s minds. If we are serious about cutting carbon emissions, nuclear power remains to date our only serious option. Now is the time to invest and promote R&D progress with innovation. The hot and cold attitude towards nuclear has frightened students to engage in the related science. Hence, we are ourselves depleting our potential for progress and have proven the consequences (one can argue that Fukushima is such an example). Skilled engineers are not embarking on a nuclear career because of fear for future career. If we had not gone through the dislike process of the last decennia we could have already found answers for the total safety roadmap, the waste treatment, the efficiency and the adequate uranium extraction. The nuclear industry is safe and with the necessary R&D input, innovation and progress it will make its use even safer. If we had done our homework and taken safety serious, the Fukushima nuclear plant would have build higher walls, redesigned the storage, secured independent generators, etc. Like with Chernobyl also here a lot could have been avoided. I don’t see a reason why we should eliminate this technology. When someone dies in a car accident we don’t stop using cars. We work to make them safer. So did Ulrich Benterbusch agree with me that Germany and Italy will still import nuclear produced energy or not? From his statement “What I wanted to demonstrate with the French example is that every country needs the help of others.” I will assume that they will. Now before my quote in this article is taken out of context, I am completely in favour of a diverse energy mix in each and every country and that includes wind, hydro and solar power. No one single power source is strategically a good idea for any nation. I live in Ukraine, a country associated with the Chernobyl disaster but the effects of that nuclear disaster did not affect Ukraine individually. It also affected Belarus and others. A nuclear disaster in France or Czech Rep will not necessarily only affect those nations depending on the severity and the way the wind is blowing or the water if flowing. Is it only the political responsibility of the producing nation as he suggests or also the responsibility of those who buy excess energy needs generated by atomic power even though they do not host the generating facilities? 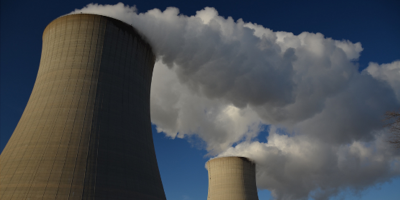 Does nuclear power have a future in Europe? Of course it does as long as 80% of French energy is produced by atomic sites. For the foreseeable future nuclear energy simply cannot be removed from the energy mix of Europe whether we like it or not. Does the EU energy strategy going through to 2050 even attempt to remove nuclear from the energy mix? No. Why? It is a sovereign decision and not an EU decision. If anything between the EU energy and transport strategies respectively (to 2050) by encouraging the serious reduction in fossil fuels from the energy mix will put additional burdens upon the other forms of energy generation. That will have to include nuclear. It would be Utopian to believe that we can simply remove atomic and fossil fuels from the energy mix and wind, solar, hydro and fracking (by those nations that will allow it) will replace them without putting additional dependence upon EU external suppliers which has its own security downside. So does nuclear have a future in Europe? Yes, until there is an alternative generation source capable of replacing it seamlessly and hopefully with less environmental and ecological downsides. Unfortunately there is no such thing as a zero impact energy production technology as all have effects on the environment, ecology, flora and fauna etc. At some point we all would hope for atomic energy to be replaceable without compromising the planet or national/energy security issues or alternatively the safest possible production of energy of atomic energy and disposal of the waste. One day, hopefully we will get there and then we will be left trying to convince the UK and France to give up nuclear weapons and nuclear powered submarines etc. Or will those nuclear defence capabilities be deemed as acceptable for the EU community? I am not as keen in nuclear energy..It does have many advantages, but also it creates lots of problems…We have to carefully weight the prons and cons before we go ahead with this…With the recent Japan disaster fresh in our memories we must think twice on where to establish nuclear plants, why, if things go wrong how to deal with it, how to dispose nuclear waste and so on..
Nuclear is much safer and healthier than fossil fuels, especially when the plant facilty is engineered correctly. Base isolation for the whole facility to isolate it from earthquake shocks. Cover the cooling tower(s) and other buildings with solar cells to charge batteries that are located in 100% watertight buildings to maintain backup power for the cooling pumps in the event of an emergency. Not even a Fukushima-sized tsunami can knock it offline. Even better, add a thrid cooling loop to the steam cycle (like they do on Navy ships and subs) and you have a desalinization plant to combat the effects of drought. If it’s near enough to a source of seawater to make it feasible, that is. It would be interesting to know, how quick the transition to renewables could be on the global scale, i think once i read something about the entire production of some (chemical) elements, used in making solar panels, would be consumed just by the EU if we decided to go for the solar energy. Same with the wind turbines? How long would it then take that we would be able to replace the fossil/nuclear with renewables? And what would we do in the meanwhile, shut down the nuclears and rely on fossils? Also, it would be nice to see the detailed analyses of the impact on environment for each type of energy (pollution caused by the construction of the power plant + pollution caused by operating). In both the financial and human cost. Nuclear energy is safe and clean compared to other energy sources. Improvements can always be made. Nuclear is not safe. It’s made the Irish Sea one of the most polluted seas in the world not to mention the wreck it did to Fukushima and Chernobyl. Yeah nuclear explosions don’t happen very often but the impact of one will be felt even after the next one goes off. I’m agree with Sioraf. We should stop using nuclear energy. it’s a true fact that it produces a lot of energy but it is also dangerous and extremely polluting.. Just remember what happened in Fukushima, after all this years the people there are still dealing with this problem, besides the deseases and deformations that they got from that nuclear explotion. We have to use renewable energy, we have to think about the planet and more important, about us and our children. We should keep exploring nuclear research but not use it for energy. There are so many other solutions cheaper, healthier and safer. If they manage to have efficient safe standards after years of research then yes. But please answer to me this: who will decide if a country uses in a safe way his nuclear energy? Who is going to accept the nuclear wastes in his land? Oil, gas, solar, wind, electromagnetic why are not on debate like nuclear? Yes to research no to implementation yet. We just not ready yet. Renewable energys are allways better in fact they don’t produce nuclear rubish and/or danger of nuclear disaster, so we should bet for ’em! Look at it this way maybe if world had used more nuclear energy before using coal or gas or other reacources the fukushima incident wouldnt have happened so if we are sure that its clean and safer stop the others as quick as possible and use nuclear. No its not safe at all. Best Energy that is availalble is around our plaet Earth, Its Limitless, Clean and Safe. No more USE of OIL and every Harmful energy systems, FREE SAFE ENERGY FOR ALL ! Nuclear energy was introduced in the fifties, to mitigate the very negative image of all nuclear, based on the production and use of nuclear weapons. They are two sides of one cin and cannot be seen apart. Think about e.g. uranium mining, uranium enrichment and spent fuel reprocessing [i.e. plutonium production], both technologies used for nuclear energy and nuclear weapon production. Think about North Korea an Iran, both have built/are building nuclear reactors and nuclear weapons. Nuclear energy is not only too dangerous for this link with nuclear weapons, but also because of its inherent risk of catastrophes [Tsjernobyl, Fukushima]. The nuclear lobby promised that such accidents would only happen once in 100.000 years and look what happened and will happen again. The nuclear lobby cannot be trusted. Without state subsidies, nuclear energy cannot survice. All or close to 90% of all nuclear R&D was paid for by state money, tax payer money. That nuclear cannot survive without state subsidies, becomes all the more clear, when we see that in all countries with nuclear power plants [NPP], the costs of a grave nuclear accident will be largely paid by the state, by special international acts, which protect the nuclear industry from having to pay all the costs themselves. This you will know, mr. Blix. These arguments should by themselves be more than enough to halt nuclear energy immediately. Another problem makes it even more urgent to stop now with nuclear energy. And that is the still unsolved problem of how to deal with the radioactive nuclear wastes. Again, many false promises were made during many decades, but still nowhere a definitive and safe solution or storage is realised. During several decades, nuclear waste was just dumped into the oceans. Or dumped into old salt mines, like Asse in Germany, which is leaking radioactive substances into groundwater during many years. State subsidies for nuclear, from the fifties up until now, with more than 1000 $ billion, far outpass all subsidies for renewable energy sources. Even so, new nuclear reactors cost more than new wind turbines, solar energy panels and energy saving measures. Look at the new EPR’s being build in Finland and France: costs and construction periods are more than double the original estimates. Gererally spoken, construction costs of NPP’s have risen fourfold during the past decade and costs of wind + solar became a factor four lower. So, on the level of rational arguments, there are no sound arguments pro nuclear energy. Why, one will ask, are NPP’s still being build? Then we come on another level of arguments: the nuclear lobby, which was very influential in political circles and still is, in many countries. Even the UN, as you will know very well, mr. Blix, was and still is, very strong pro-nuclear. From its beginning, the role and task of the IAEA is to promote nuclear energy. Once pro-nuclear, always pro-nuclear? In spite of all arguments and new developments? It really is time for change, inside the UN and inside the IAEA. A change, away from promoting nuclear energy, towards a rational approach, against nuclear energy. Such a change will also make the production of nuclear weapons by no- nuclear weapon states much more difficult. How to make nuclear weapons when there are no uranium enrichment plants and no reprocessing plants and no companies constructing them or selling the needed equipment?? One reason more and not the least, again nuclear energy and the nuclear industry. Since 1968 I am involved in energy and environment, studied nuclear energy and nuclear weapon history, development, politics for many years and I came only to one conclusion: we are far better off without them. The role of nuclear power is very much over estimated, its share of global energy consumption is only 3%. This share can be easily taken over by sustainable energy sources, like wind, solar, hydro, ocean and earth energy within the next 10 years. So where are we talking about? Renewable energy already has a share of 15 % of all energy consumption, which share can grow to 30% in 2020, to 50% in 2030 and 100% in 2050. Every dollar, euro or yen invested in new nuclear power plants is wasted and can better be invested in renewable energy and energy efficiency measures. The risks of nuclear power and nuclear waste, its link with nuclear weapons, are just too large and dangerous, to take these risks and they are too expensive too. So stop it, within 10-15 years we can do without everywhere. 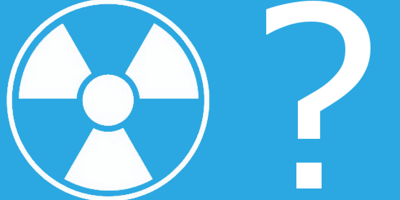 I would like to know exactly how many nuclear reactors can be found in the territory of EU? Does anybody know how many nuclear reactors could be changed to natural energy resource ( e.g. windmill)? I would like to know the price of nuclear energy, compared to price of energy from other sources. That includes: Construction costs of the power plants, fuel costs, damage to the environment (very important to estimate the environmental damage precisely, for example solar plants use a lot of poisonous chemicals in their production. Coal plants release co2 and other gases and the ash contains a lot of radioactive elements, and those are just dumped outside, hydro plants disrupt the ecosystem etc. ), number of deaths and serious diseases per amount of energy produced etc. It would be also interesting to know which energy sources have lots of spin-off technologies. @ S K: as a former employee of an energy Co, I can tell you that nuclear is the second cheapest energy after hydro… You want to know how the price is calculated? Well…there are presidents of countries who are not allowed access to such info…so I wish you good luck! Of course not, on the contrary,I agree with your position and I encourage that, and through suggestions and constructive positions, I also hope of more transparency in this field. Above I presented a status-quo while we as citizens are entitled the access at information. The small encapsulated reactors placed underground might get acceptance. This is the best security paradigm change this industry can make at this time. Micro reactors for region specific power demands and easier containment with lower possible breach risks? 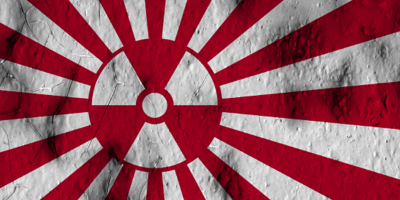 Speaking as a person who has lived in Japan all my life, this recent Nuclear crisis has devastated our country. I think people who r Pro Nuclear Energy just dont understand the impact it has once things go bad. Our economy is ruined, the water is getting corrupted, and that whole area is a very unsafe place to live. No matter what so called safety precautions are put in place, after the tsunami i personally do not trust them. On the flipside, electricity prices have risen 14 percent in the last year because of the shortage of electricity, and the major cities like osaka and nagoya will experience periodic electricity cuts in the summer when it is most used. I think the only solution is to hope and pray the scientists develop some form of new renewable energy fast. Actually nuclear energy CAN be made safe and free of the wasteful effects of uranium (current nuclear fuel). The Chinese are spearheading a switch to thorium as a nuclear fuel which makes the possibility of a meltdown non-existent as the fusion process can be controlled, unlike that of uranium. It also produces far less waste product (up to 10,000 times less I believe but correct me if I’m wrong) and it would diversify the suppliers of our nuclear fuel so we wouldn’t be held to ransom over our fuel prices as we are today by organizations like OPEC. I think that you could do with a few p.c. to drive the message house a bit, however other than that, this is wonderful blog. Just for your information the amount of people who’ve died due to the nuclear power is about 1 000 000, if you use the highest number in wikipedias list, 5 000 is the lowest. You can’t really know. But these digits represent all the years since nuclear power was invented. It might seems like a huge amount of lives, but if you compare it to the coal it’s not much at all. About 1 000 000 people dies annually due to the coal energy, that’s way more. As long as the renewables isn’t ready to replace the coal, oil, gas and nuclear power, nuclear should be the energy source that fill out the gap . We cannot solve the energy problem with the same mindset we had when we created it! – we have more clean energy than we know what to do with. This is true today! Any rhetoric that defends otherwise is mythology at its best. Or worse. There is no need for nuclear! Absolutely none!